Molly Wizenberg’s A Homemade Life seemed to fit into the end of summer reading for a lot of our Cook the Books participants. 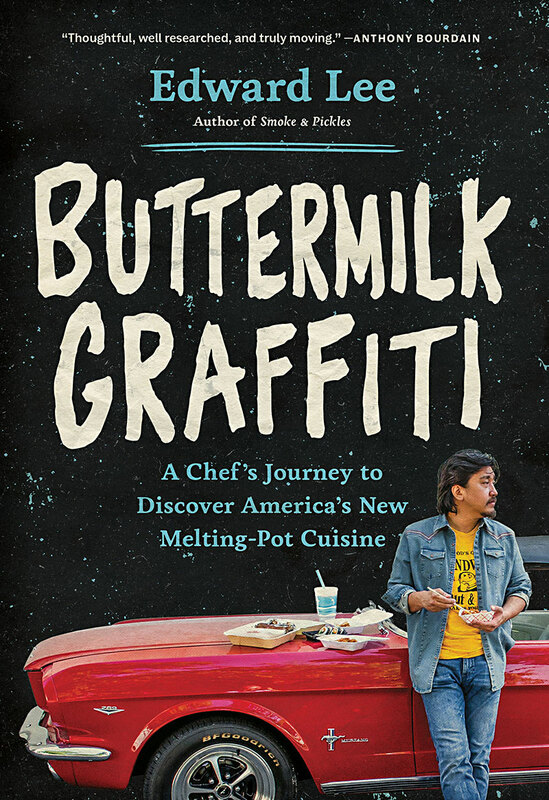 Whether it was devoured in just a few sittings, savored chapter by chapter, or “reheated” and returned to as an old favorite, everyone found something to respond to in this wonderful foodie memoir full of stories and recipes. 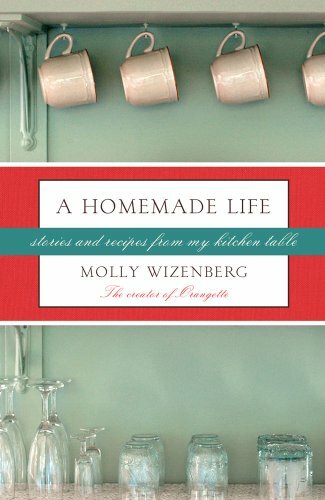 Elizabeth from The Law Student’s Cookbook says, “I really enjoyed the book and how Molly connected stories with her recipes, stories that reminded her of the recipes or were the inspiration to those recipes. Because really, everything we cook tells a story – even the shrimp over ramen noodles I made for dinner tonight. 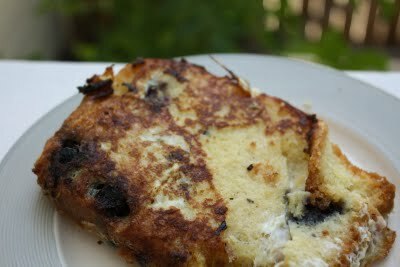 The story with that was, I didn’t have anything planned and was trying to just use stuff in the house that wasn’t promised to other dinners for the week.” Elizabeth was inspired by tales of Molly’s mom’s pound cake to make this decadent Pound Cake French Toast, full of plump blueberries. A perfect start to any day! Kaye of In Kaye’s Kitchen says, “Since I’ve been an Orangette reader off and on for several years, A Homemade Life was a fun read. It was nice to get to know Molly a bit better. And many recipe pages are adorned with stickies, so that corner of the book looks a bit like a pink hedgehog. Family cooking. This was the most appealing part of the story for me. Molly grew up in a family where food was appreciated and cooking was done with love. 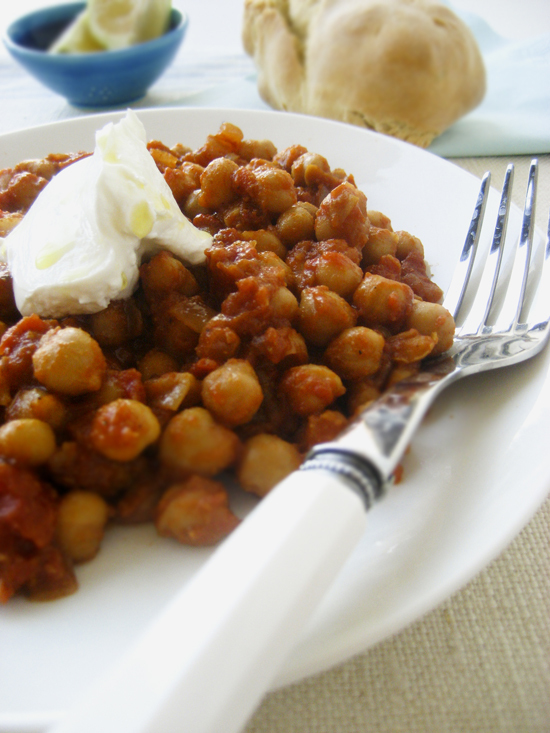 Sadly her father died much too early, and the book could be considered a tribute to him, bits of memoir interspersed with recipes.” Kaye made an entire meal of Moroccan Zucchini Salad, Papa’s Posole and Crème Caramel.“Thus, I was inspired by this book to cook a meal in honor of my father. I chose one recipe I thought he might have liked, one I “inherited” from him, and one he recommended. 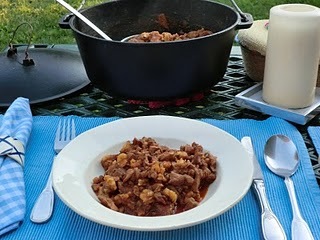 Luckily the weather held out so we could eat al fresco, and enjoy a bit of time with Papa.” Check out the entire meal on Kaye’s post. 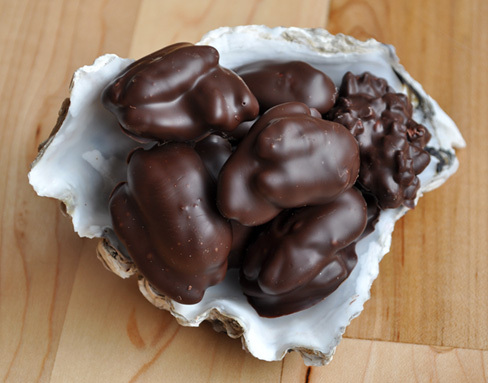 Claudia of Honey From Rock was inspired to get into the kitchen and experiment. She says, “Something about this book just got me trying things. Often I can have a cookbook on my shelf for years, without actually making anything from it. However, for the past few months I have been enjoying an unprecedented number of recipes from A Homemade Life. For instance, normally, I’m with Brandon on the cabbage question. 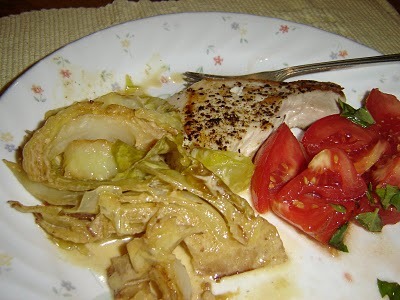 I love raw cabbage and rarely cook it, so of course, I first had to make his Cabbage Salad with Lemon and Black Pepper, which was excellent of course, but then I wanted to try the cabbage cooked in cream method. It just sounded so decadent. And, since the recipe made enough for four, it gave me two meals’ worth. More also rans from Wizenberg’s book were the Bouchons au Thon (a kind of tuna muffin), were tasty both hot and cold; the delicious Turkey Meatballs with Lemon Yogurt Sauce (which as it turned out, I liked better with the sauce cooked); and a most excellent Butternut Squash Soup with Pear and Vanilla. Also her Ratatouille, a dish I’ve made for years (though still prefer my simpler method), inspired me to add Scampi, bringing about a wonderful new combination of two old standards.” In addition to Claudia’s meal of Cream Braised Green Cabbage with Seared Ahi, check out the other dishes she tried on her post. Tina from Life in the Slow Lane at Squirrel Manor says, “Molly really spoke to me. I read this book and I felt I was having a conversation with her. Some bits were like reading a letter from someone I knew well, someone who poured out their heart and feelings. She is so much younger than I am but I sure could relate to so many things she wrote about. From the unresolved feelings regarding her father’s death to the cautious delight of falling in love with her soul mate. The calm and focus that creeps in when you are immersed in preparing food for people you love and her unapologetic Francophile side. 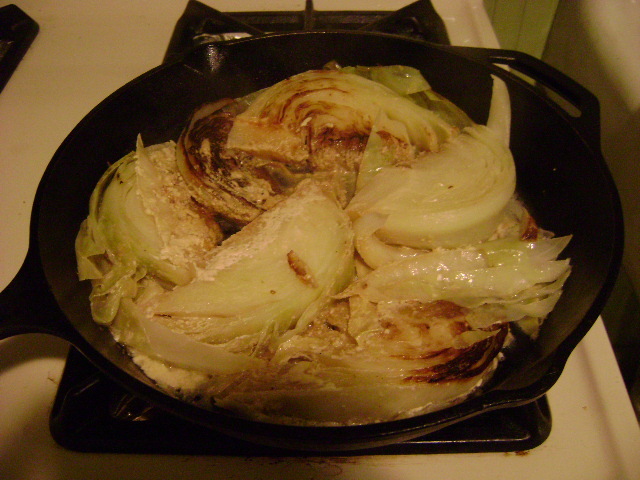 (seems so many are determined to hate the French these days…)” Finding it difficult to choose just one recipe, Tina made a bunch; Ed Fretwell Soup, Spring Salad with Endive, Avocado and Goat Cheese, the Dutch Baby Pancake, and Cornbread with the Creamy Middle. 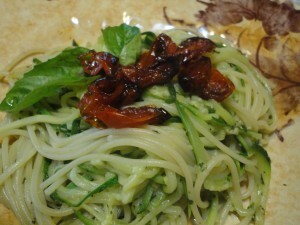 Check out all her dishes on Tina’s post. 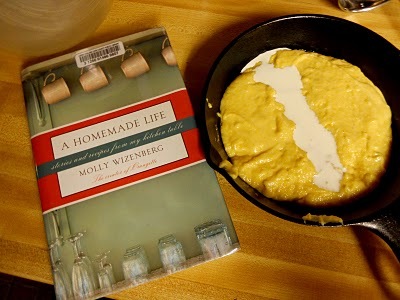 Jessica, The Literary Foodie says, “I would not normally do two posts from the same book but when the Cook the Books club chose Molly Wizenbergs A Homemade Life, I couldn’t resist another go at it. Some of you will remember back in January when the other online book group I take part in, This Book Makes Me Cook, did the same book. 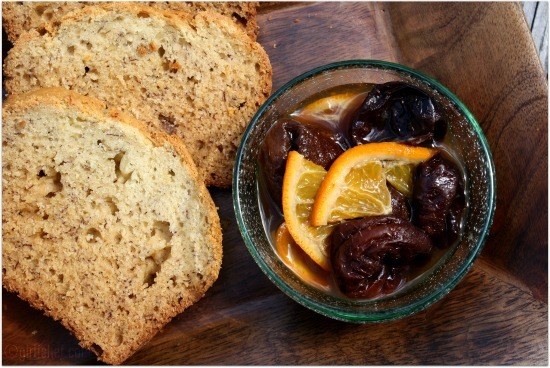 The fact that I have tried and loved quite a few of Molly’s recipes, either from her blog Orangette or from the book was my driving force in doing another post. 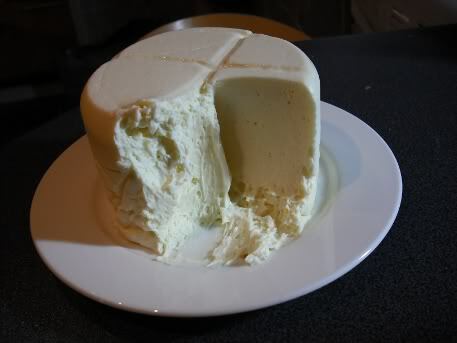 Unlike some other food related pieces of literature the recipes from A Homemade Life have not only all worked for me but have often been very nice surprises.” What to make for this round? Jessica says, “Trying to pick between the recipes is fruitless, I want to try them all, and so I have placated myself by saying that eventually I will try most of them I just need to pick one for today. 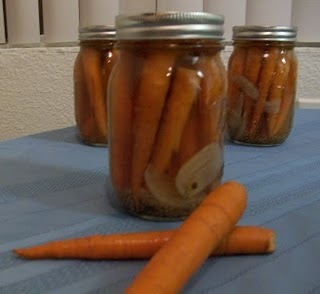 Okay maybe two.“ She selected Molly’s Spicy Pickled Carrots with Garlic and Thyme and Pickled Grapes with Cinnamon and Black Pepper. 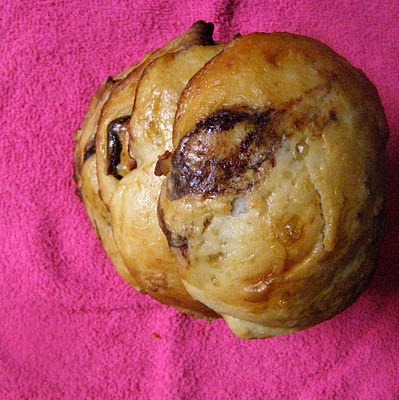 You can see both recipes and what she made for her first go-round on her post. Finally at Kahakai Kitchen, I have been a fan of Molly’s since I stumbled across Orangette searching the internet for a banana bread recipe before I started blogging myself. I can’t believe it took me so long to read this wonderful book. I love Molly’s warm, lets-have-a-cup-of-tea-and-chat conversational style and each and every recipe sounded amazing. But since banana bread was my first introduction to Molly, it seemed only fitting to pick the Banana Bread with Chocolate and Cinnamonfrom Orangette that I made several years ago and this time make it into muffins as my CTB selection. The warm notes of the cinnamon when paired with the chocolate is delicious and the lightly crunchy cinnamon-sugar topping makes them a delight to eat. 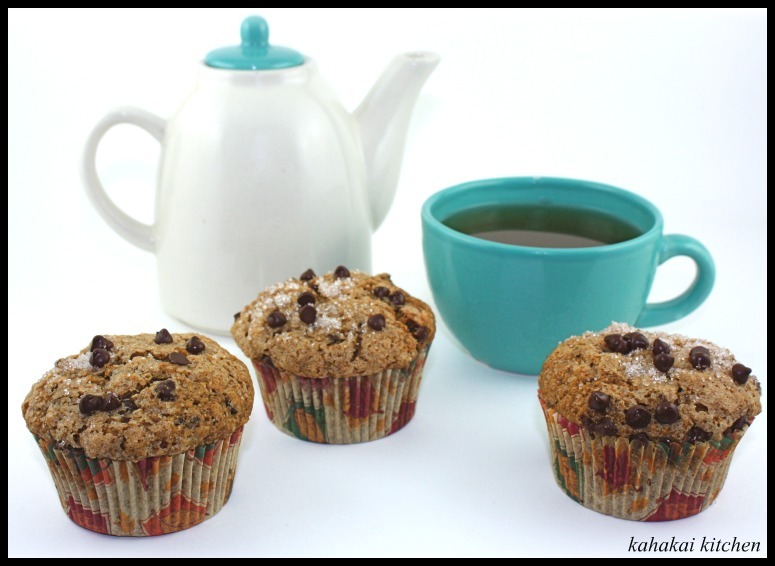 To try to adhere to portion control, I put my muffins in the freezer and there is nothing better than heating up one and enjoying it with a cup of tea. Perfect comfort food! What a great collection of entries! I do not envy our judge Molly Wizenberg in having to pick a winner for this CTB round. Every entry looks delicious and each post was written from the heart. Thanks to everyone who joined in–I am glad you all enjoyed the book and I hope you get a chance to get around and see each others’ CTB posts if you have not had a chance to yet. Stay tuned for the announcement of the winner, as well as a post announcing our next three book picks for 2012. Until then, try to secure your copy of our October/November selection, Harlot’s Sauce: A Memoir of Food, Family, Love, Loss, and Greece, by Patricia Volonakis Davis, hosted by Johanna and get to reading!